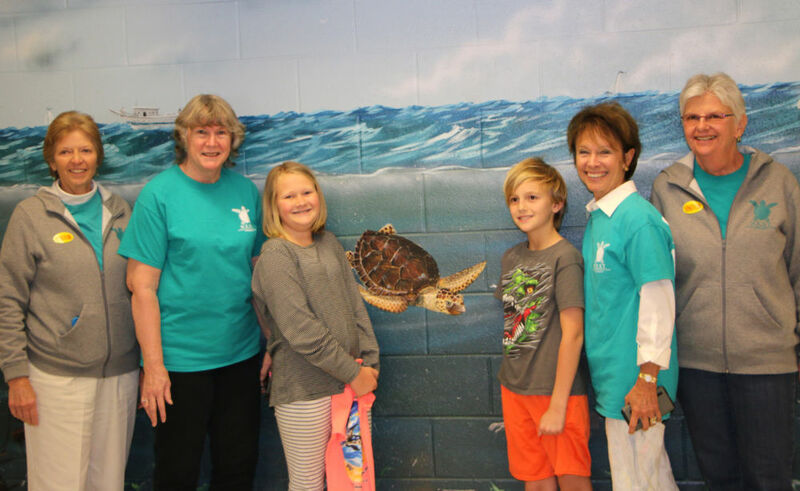 Emmett Swain and Tallulah Morris submitted the winning name for the new loggerhead sea turtle recently added by N.E.S.T. to the ocean mural in the entrance hall of Kitty Hawk Elementary School…”SEAWEED”!! A school wide contest was run to name the new turtle. Winners from Kitty Hawk Elementary School of the “Name the Turtle contest” are pictured along with N.E.S.T. Board members. There were hundreds of names entered and the final selection of Seaweed had been submitted by both students. The winners each received a N.E.S.T. t-shirt and were so excited. Seaweed is a very popular enhancement to the sea world mural and is admired daily by hundreds of students, teachers and visitors to Kitty Hawk Elementary School. 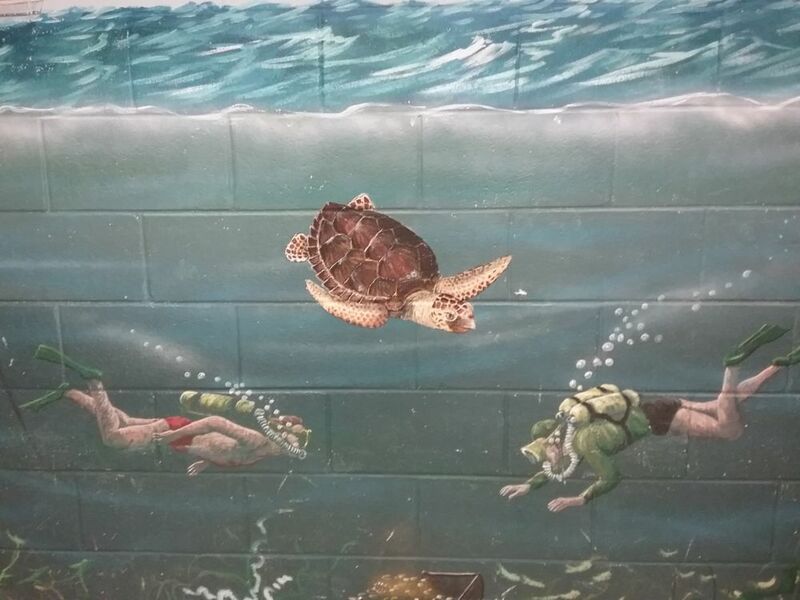 The sea world mural with loggerhead sea turtle in center located in the main hallway of Kitty Hawk Elementary School .